Lieutenant-General Mikhail Grigoryevich Efremov (1897-1942), who committed suicide, avoided the German captivity. During the Rzhev-Vyazma offensive operation of the Red Army, the 33rd Army, which was commanded by Efremov, escaped ahead, was surrounded by German troops. During the second half of February and March 1942, the Soviet troops futilely tried to save the 33rd Army with the forces of the 50th Army of the Western Front. The plan failed. April 19, 1942 in the battle of the army commander Efremov, who fought like a real hero, was seriously wounded and, not wanting to be taken prisoner, shot himself. Together with the general, a significant part of the soldiers of his group also died. 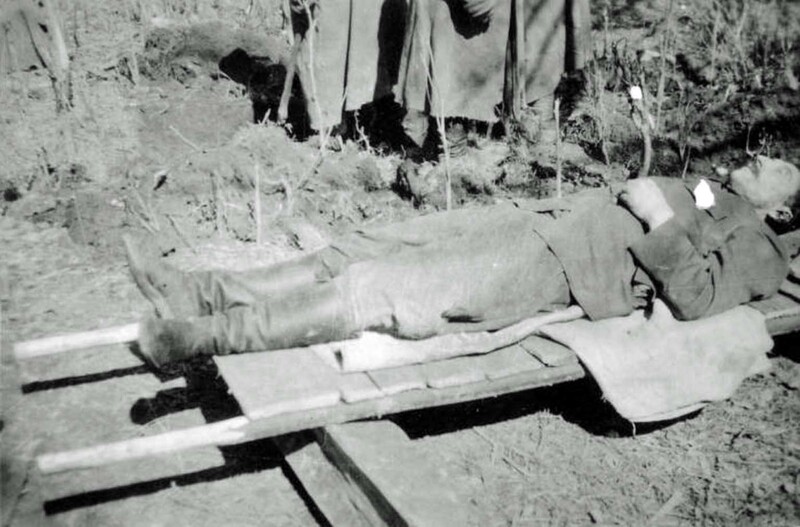 The body of Efremov was found by German soldiers and buried him with military honors near the church in the village of Slobodka on April 19, 1942. By the Decree of the President of the Russian Federation of December 31, 1996 “for courage and heroism shown in the fight against the Nazi invaders in the Great Patriotic War of 1941-1945” Lieutenant-General Mikhail Grigoryevich Efremov was posthumously awarded the title of Hero of the Russian Federation.